Helmets are great at two things — keeping your brain safe and hiding cool haircuts. Beyond that, not much else. 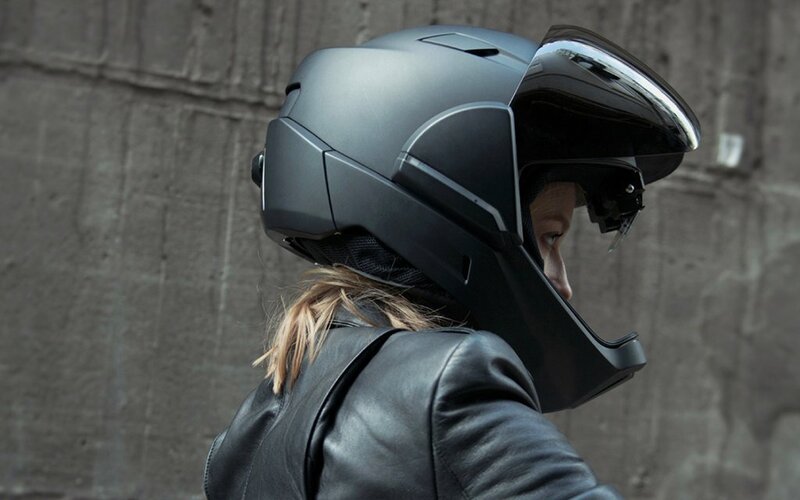 Because the CrossHelmet X1 is descending upon the moto scene to do catapult the riding experience into the future via three awesome functions: 360° Visibility, CrossSound Control and Connectivity. When you’re riding, it’s said to ride like you’re invisible — because to most you are. So, it’s a big win to have a new way to watch out for oneself. The first, the 360° Visibility, is achieved with driving information displayed on a heads-up display in front of the eyes. It works with smartphone GPS to show the rider routes and destinations. Most importantly, the display works with a rear-view camera on the helmet to let the rider see anything coming from behind. Game changer. 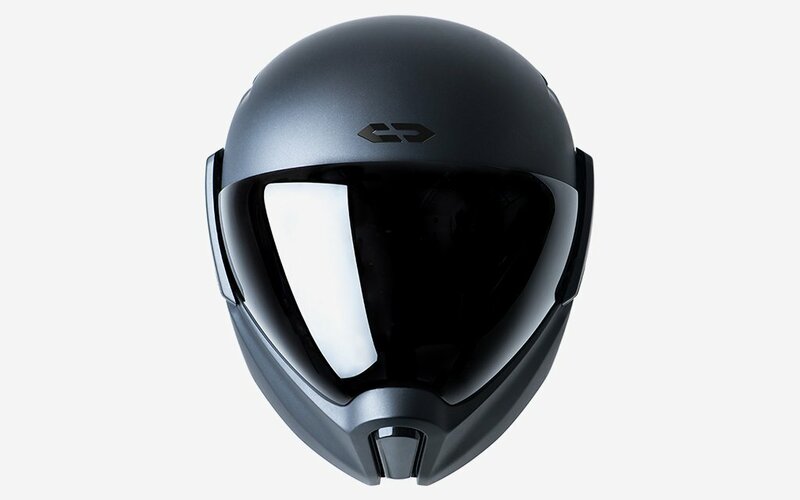 Plus, the smart helmet has a nice wide visor to let one see more of the road, which anyone who has worn a horse blinder helmet will certainly appreciate. Next up, the CrossSound Control will enhance or dampen exterior sounds according to the rider’s needs. So, if you’re riding through the city, you can hush those sirens, jackhammers and barking dogs to help concentration. But if you’re out in the wilderness and you want to hear the crickets under the stars, it’ll assist with that too. And lastly, the Group Talk feature pairs with one’s phone through a dedicated app to allow one to communicate with multiple people at once while on tour. Available for pre-order now with a spring 2018 delivery window. And, no, it doesn’t have a Jarvis assistant quite yet, but at least now there’s a platform. A slick lookin’ one at that.